Barred Owl closeup, side view of head and face. 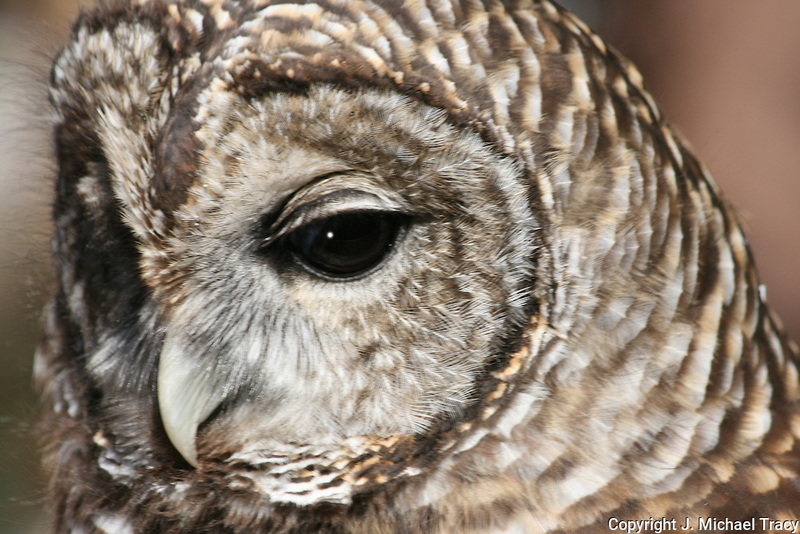 Closeup of a Barred Owl face and eyes. Side view.